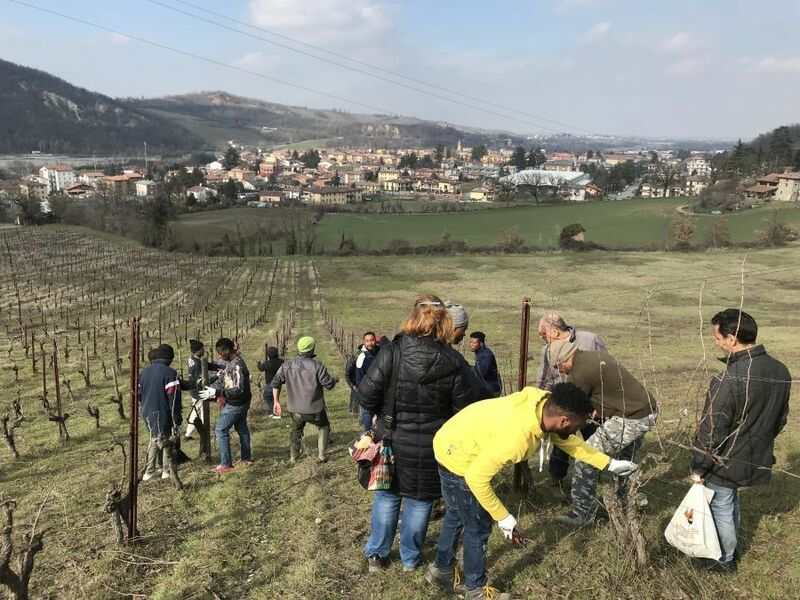 In the context of Action 7 of the ValorinVitis Project, the first session of "school in the vineyard" for foreign refugees was held on March 13, 2018. 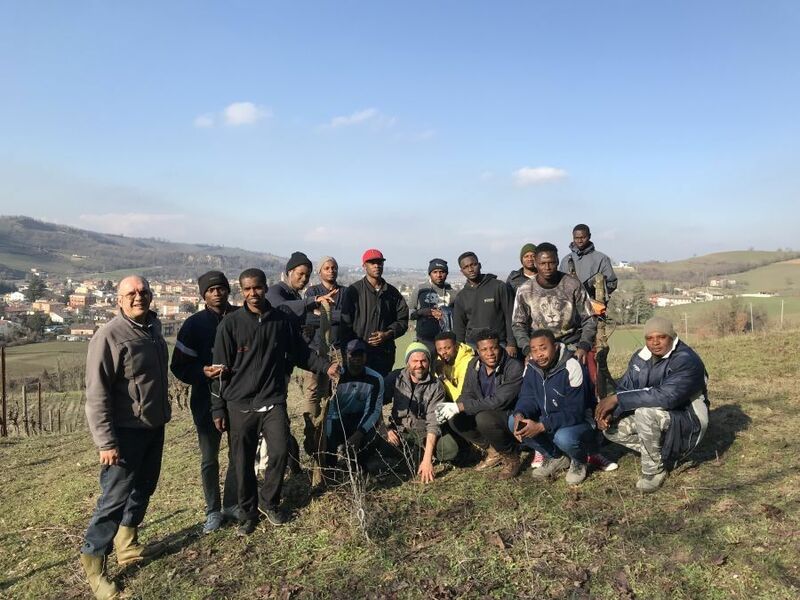 The group of 15 refugees managed by the cooperative Ippogrifo went to the winery I Perinelli to learn about winter pruning of vines through practical activities. The young men, coming from Sub-Saharan Africa, initially received the necessary information regarding the phenological cycle of the vine and the operations that are carried out during the year. 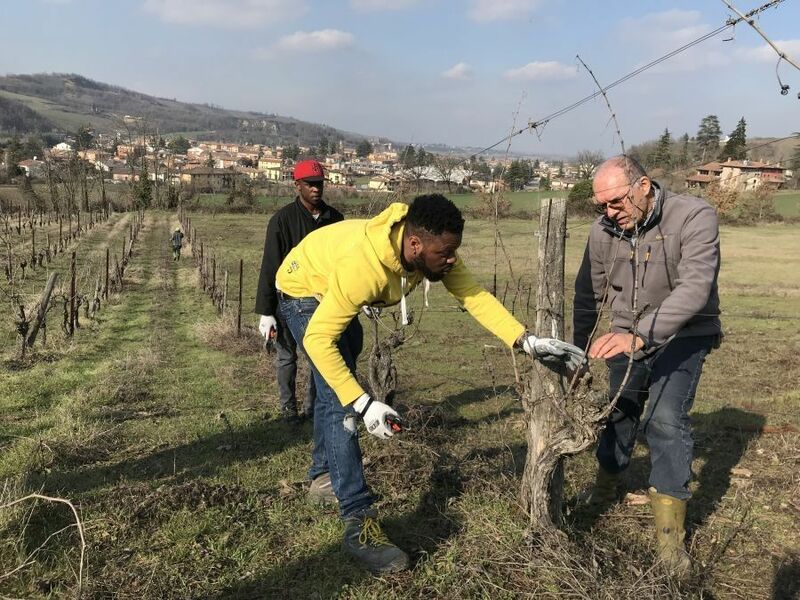 Then under the guidance of Mosè Scalas, responsible for agronomic activities at I Perinelli, they learned the basics of winter pruning on Guyot-trained vines. 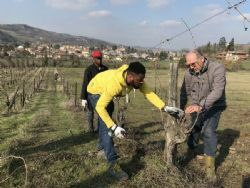 After understanding the process of choosing of fruiting cane and spur, the young men performed a test pruning on 2 dedicated rows. There are still 3 training sessions planned in the vineyards of I Perinelli. The next meeting scheduled for late May - early June will focus on the techniques of canopy management and, in particular, on suckering in the vineyard.